Need a quick and easy meal? 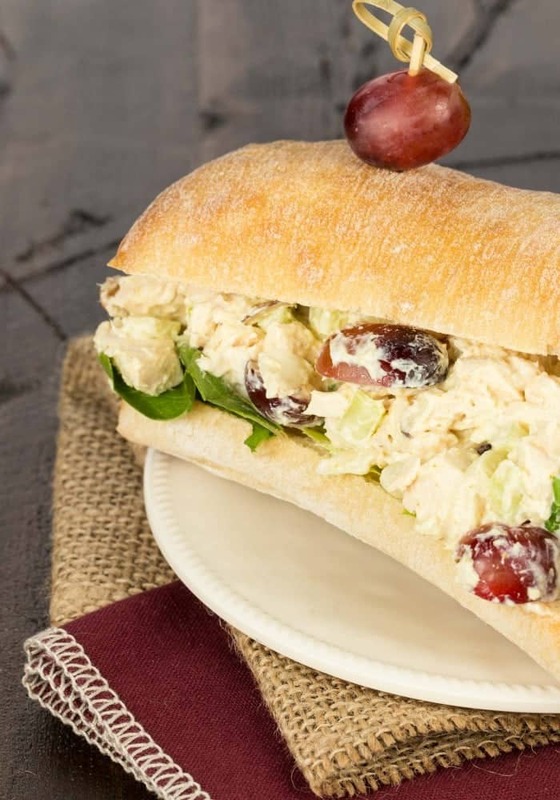 This Curried Chicken Salad with Grapes and Slivered Almonds is one of my go-to recipes for busy nights on the run. Spring in Minnesota has finally arrived. And when that happens, I cannot stand to be stuck inside the house. Who wants to be spending time in the kitchen when you can finally be outside after our long winter? So in this house, that means meals take a shift. Spring meals are light, easy and versatile. 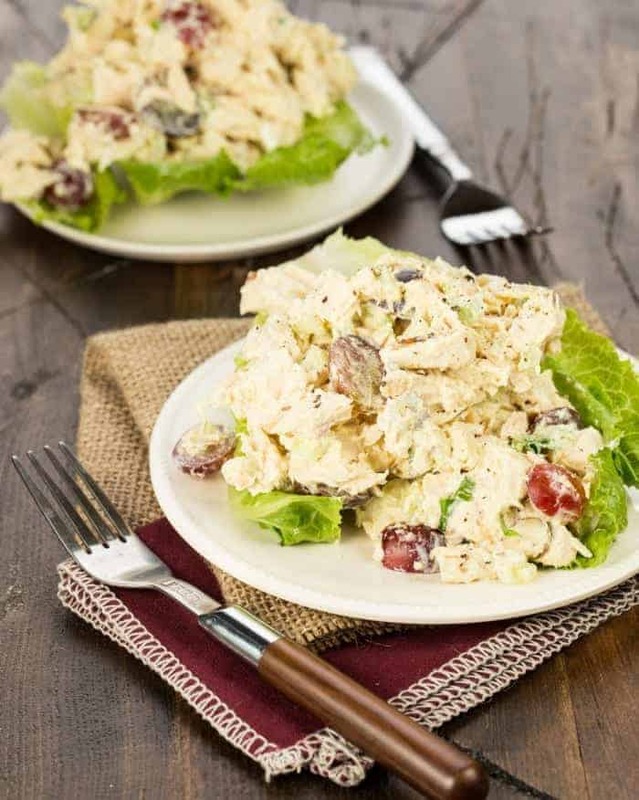 This Curried Chicken Salad with Grapes and Slivered Almonds fits all of those criteria and is one of my family’s favorites. It’s easy to see why it is such a hit with everyone (Even Greta, which is saying something!) Each bite is bursting with juicy grapes, crunchy almonds and the bright flavors of curry and chicken. It’s a perfect blend of flavors, and the curry adds a little special something to it. And that is coming from someone who isn’t even a huge curry fan! Are you getting the idea of how tasty this chicken salad is? The options are endless for this Curried Chicken Salad. Serve it on a bed of lettuce garnished with tomato wedges and you have a perfect dish for lunch al fresco with neighbors you haven’t seen in months. On the go between sporting events? Don’t head for the drive through. This Curried Chicken Salad makes a killer sandwich giving you a healthy, portable meal to eat on the run. And when we have a rare spring or summer night with nothing going on, I make this so I can spend my time outside, instead of the kitchen and still feel good about what we are having for dinner! Hello, Spring! Time Saving Tip: This recipe uses rotisserie chicken. I buy more than one at a time and freeze the extra meat so I always have cubed chicken at the ready. Combine all ingredients in a large bowl and mix until combined. Refrigerate for 1 hour before serving to let flavors blend together. Serve over lettuce or on a pita as a wrap. Boo! You are getting the snow we had yesterday! Hope it melts quickly! I plan to make it Whole 30 compliant by substituting homemade mayo…can’t wait to try this!